It’s been 80 years since Dorothy first clicked together her heels in what was the most groundbreaking cinematic feat of the time. For a musical released in 1939, The Wizard of Oz has enjoyed a remarkable amount of enduring popularity and praise. Much like The Beatles have come to be an intrinsic symbol of British musical history, Dorothy’s tale is an essential piece of American pop culture. That the Wizard of Oz is widely referenced, watched and studied eight decades later should be appreciated as nothing short of the phenomenon it is. But what exactly is it about MGM’s 1939 movie that makes it so widely loved, and so continuously relevant? The answer is, unsurprisingly, manifold – but we’ll look at the most obvious reasons below. Before Avatar was released in 2009, audiences were already hyped by the incredible CGI and 3D experience they were told to expect. Yet, when leaving cinemas, many viewers were dissatisfied. Avatar lacked soul; there was an absence of original storytelling or compelling characters. There was nothing gripping about the James Cameron film other than the special effects, which subsequently became its only selling point. When The Wizard of Oz won the hearts of audiences, it wasn’t purely because of that legendary moment Dorothy opens the door to a world of technicolour, nor was it The Wizard’s terrifying large, holographic face. These special effects were truly groundbreaking, but the movie stands out as a good piece of cinema even without the famous effects. There’s humour, horror, music, relatable characters, conflict, a defeat of evil, and a happy ending. The moral is beautifully clear, and one we can all appreciate; that what we are looking for exists within ourselves. The special effects merely complement the story-telling. An attempt to recreate the perfectly executed quest formula is evidenced by subsequent fantasy movies like The Labyrinth and The Never Ending Story, where young protagonist must also defeat evil on a journey, with the help of friends they make along the way, before they can safely return home. However few films have delivered this plot quite as perfectly at The Wizard of Oz and, as such, the film stands the test of time even if the special effects don’t hold up against today’s CGI. 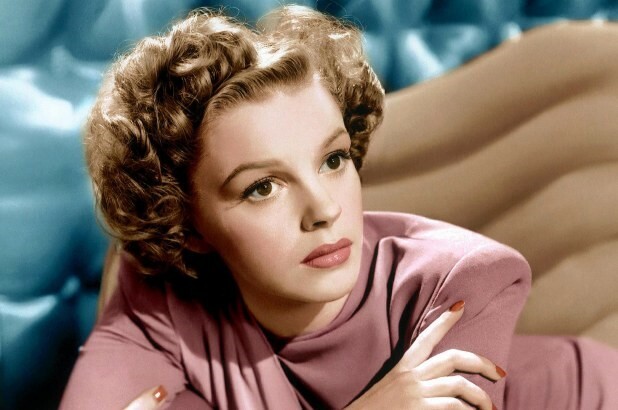 The moment anyone watches 16-year old Judy Garland sing ‘Somewhere Over the Rainbow’ for the first time is always very special. The young actress’ heavenly vocals are spellbinding, and mark the humble scene as one of the most memorable from the movie. MGM originally considered casting an 11-year old actress in the role of Dorothy, to reflect the young age of original book’s character. The role went to the teenage Garland instead, who had to wear a corset to look as small and flat-chested as possible. It’s safe to say no one on the production team could have regretted this casting decision. Few, if anyone, could have played Dorothy quite like the charming Garland. Her convincing portrayal of Dorothy as brave, kind, determined and innocent propelled her into stardom. Garland went on to stun in many other roles throughout her career including, of course, ‘A Star is Born’ – which was recently remade starring Lady Gaga and Bradley Cooper. ‘Somewhere Over the Rainbow’ has largely come to symbolise the gay community’s struggle to be accepted. Whether or not the song was originally intended to have this meaning, Garland’s performance of a young individual escaping the dreary confines of her black-and-white town to a colorful world of love and courage established her as a gay icon. This was a status from which Garland did not shy, despite public opinion, and the actress would often visit gay bars with her openly gay friends. 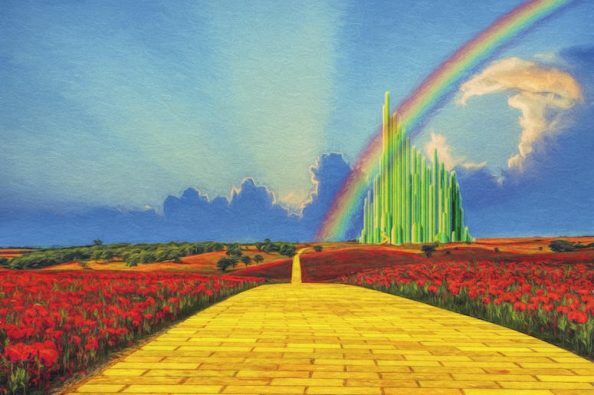 Subsequent LGBTQ+ icons, from Elton John to Rufus Wainwright, have been playing tribute to the The Wizard of Oz and its connection to the gay community ever since. It’s not difficult to see the psychedelic appeal of the yellow brick road, Emerald City or the Flying Monkeys – those fluorescent colours and fantasy elements are reminiscent of the surreal psychedelic art of the 60s. But in 1995 an Indiana newspaper published a feature about the peculiar synchronicity between The Wizard of Oz and the 1973 Pink Floyd’s psychedelic album ‘The Dark Side of the Moon’. The observation was that if you start to play the album around the time that the MGM lion roars, the music and lyrics perfectly match what is happening on-screen. With that article, the movie’s hallucinogenic connotations were further established. 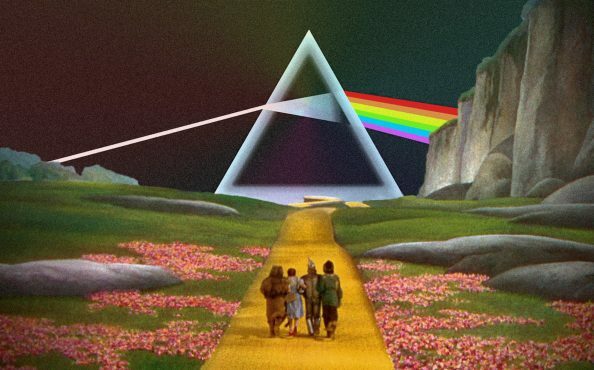 Though all Pink Floyd band members have denied that the album was intentionally written to coincide with the visuals and tempo of The Wizard of Oz, there are some surprising moments of uncanny synchronicity – such as the tornado picking up Dorothy’s house as ‘The Great Gig in the Sky’ starts to play. It’s difficult to not be amazed by the coincidence of one of the most popular films ever being so perfectly paired with one of the most popular albums ever. As if either work of art wasn’t already legendary enough! Many musicals enjoy both success on screen and at Broadway. Even the unlikely stage adaptation of the Lion King became a huge hit, so it shouldn’t surprise anyone that The Wizard of Oz has also done well onstage. The thing is, The Wizard of Oz stage production did better than ‘well’. It smashed – treating audiences to fantastic costumes, special effects, and memorable musical numbers. It is precisely because of the film’s success that audiences enjoy the stage production, holding their breath as classic lines are delivered, from the Wicked Witch’s cackling “I’ll get you, my pretty, and your little dog too!” to Dorothy’s bewildered “Toto, I don’t think we’re in Kansas anymore…”. In staying true to the 1939 film, The Wizard of Oz stage production is able to give audiences what they came for; a live re-enactment of their most beloved scenes. In 2011, composer legend Andrew Lloyd Webber joined the production team for his own theatrical take on the musical. Interestingly, L. Frank Baum helped turn his children’s’ book into a stage musical as early as 1902, decades before the 1939 film was even made. In other words, fans have been watching The Wizard of Oz on stage for well over a hundred years. 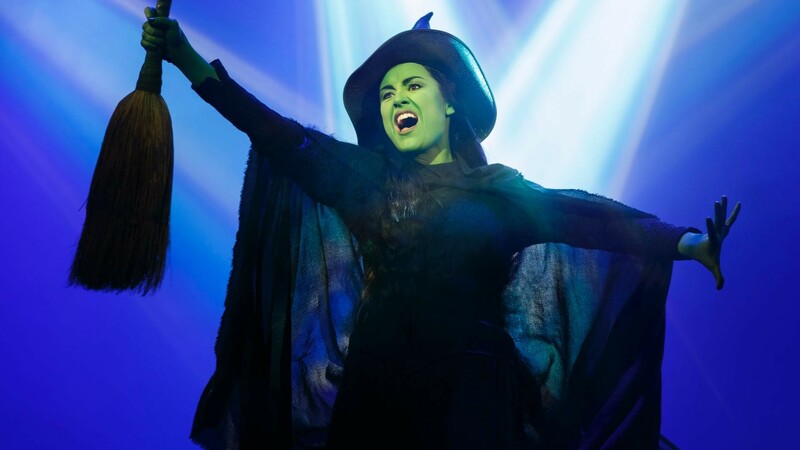 Of course, we can’t forget Wicked; the award-winning spin-off musical about the Wicked Witch of the West, and one of the UK’s highest grossing broadway productions of all time. We cherish pop culture that is authentically retro. Anything that truly embodies a distinct era is considered fashionable, and therefore slapped across merchandise. Think Stranger Things, which struck a chord with its nostalgic portrayal of 80s youth. Think Pac-Man and Ghostbusters, or any number of old-fashioned themes printed on today’s H&M t-shirts, tote bags and pencil cases. 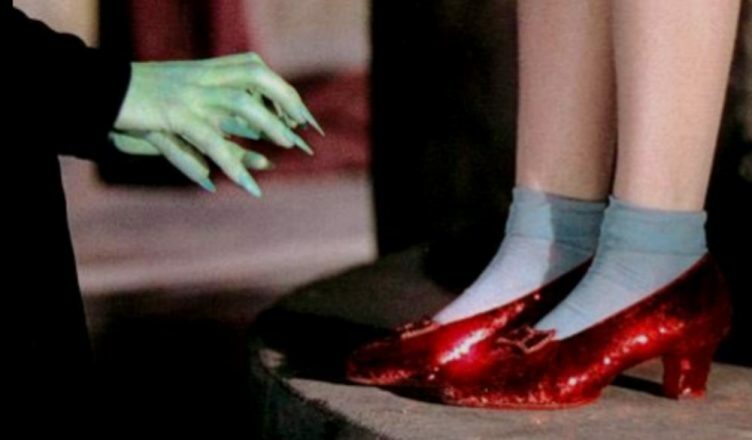 The Wizard of Oz, with its distinctive images of the ruby red slippers and the yellow brick road, has given the film great merchandising potential. You’ll find Glinda or Tin Man outfits at any costume shop, whilst The Wizard of Oz slots are amongst the most popular machines in Vegas. 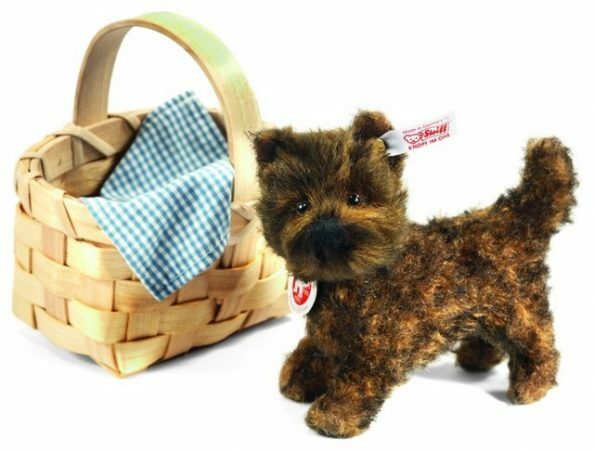 The iconic movie poster makes for a common wall decoration amongst art fans, while each young generation that watches The Wizard of Oz is happy to have their own Toto toy. In short, The Wizard of Oz is full of distinctive characters, props and landscapes which has sure helped form its legacy by lending its image to generations’ of toys, fashion, art and merch. 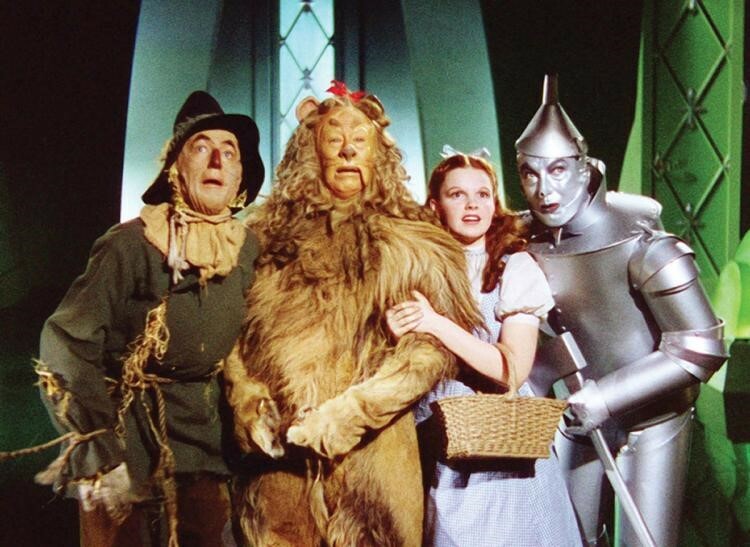 The long-lasting legacy of The Wizard of Oz can be attributed to many factors; from pioneering movie making techniques, great marketability, subcultural significance and uncanny coincidences. With so many aspects guaranteeing its success as a timeless classic, one can’t help but marvel at a how a film could become so immortal. There’ll be anniversary screenings at cinemas across the world this year, so slip on your red slippers if you’d like to re-watch the musical in its full cinematic glory. Alternatively, watch it at home…with some Pink Floyd playing in the background.